Girls’ tennis has had an exciting season filled with new players and successful matches. Senior and team captain Rachel Sadler has many roles. “My role as team captain is to give the girls a short pep talk before each match, help our coaches during practice, and announce the lineup before each game with my co-captain, Olivia Fullerton,” explained Sadler. Sadler enjoys encouraging the team, as well as seeing all the players obtain new skills and have fun both on and off the court. She has been on varsity for all four years of high school, however she has played tennis for ten years altogether, which was one of the reasons she was picked to be team captain this year. 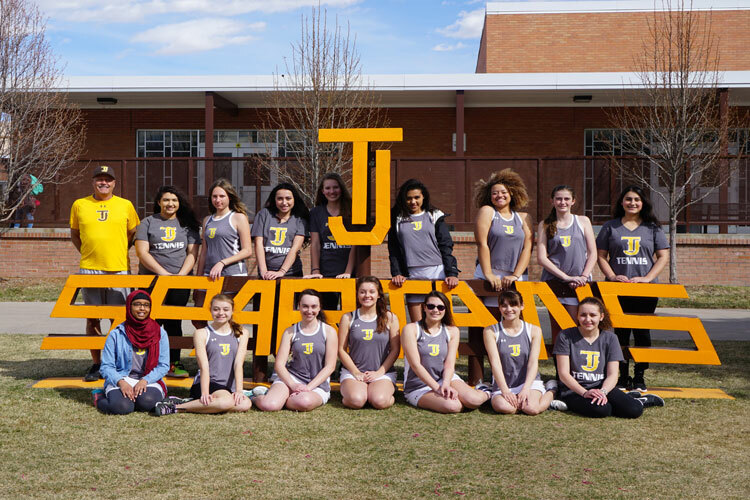 She added, “I wanted to become team captain because the girls on our team have always kept me optimistic through tough matches and I wanted to bring that same joy in my last year at TJ.” Tennis is a great opportunity for students to meet new people and learn about a new sport near the end of the school year. The girls had a great season with lots of wins and improvement among both new and old members.